Are you gearing up for Halloween? 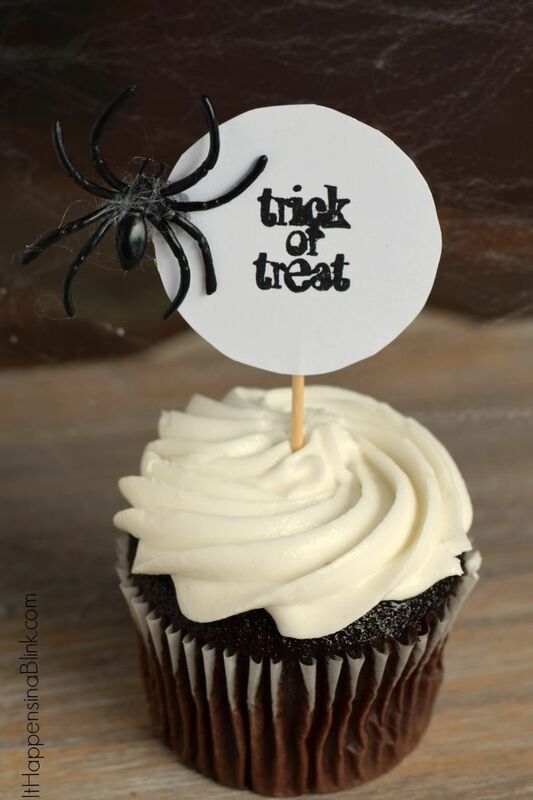 Maybe you’re taking sweets to a classroom party or hosting a Halloween bash of your own. 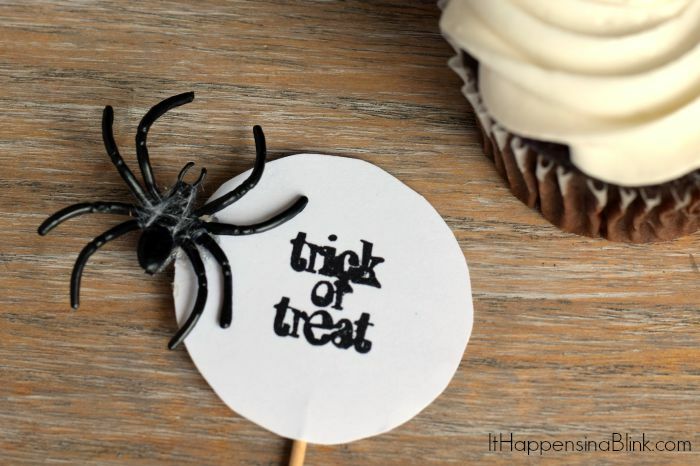 Either way, these cute Spider Cupcake Toppers will be a creepy treat that is minus the crawly! If you’re in a baking mood, make your favorite batch of cupcakes. If not, then buy your favorite from your local bakery. 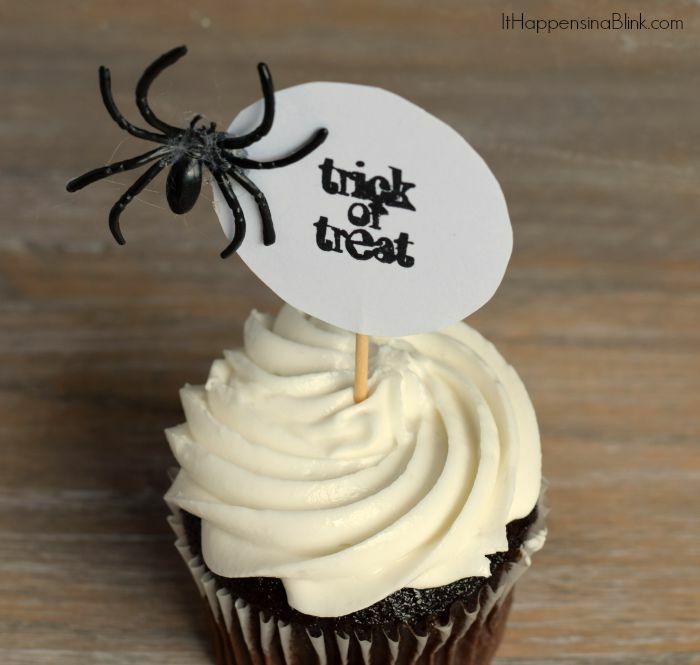 Then top them with this easy Spider Cupcake Topper craft. I’m using a stamp that I received as part of the PSA Essentials Design Team. 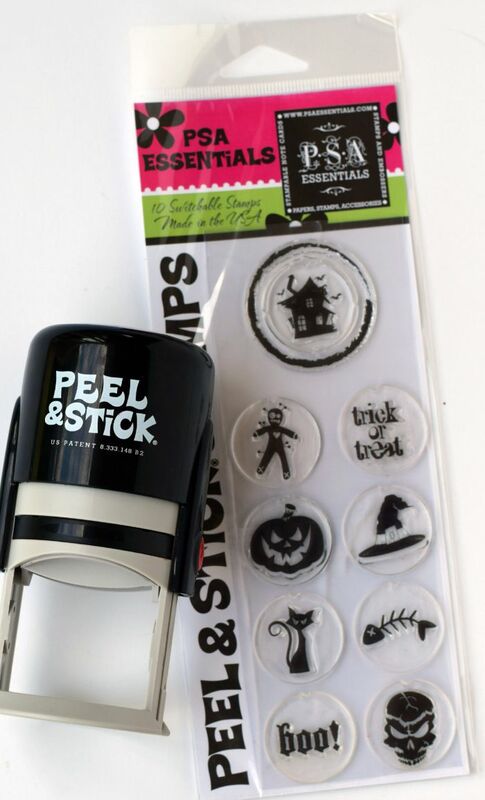 Use the stamp to apply “Trick or Treat” to the white card stock circle. Glue the card stock circle to the toothpick. Glue the plastic spider to the side of the white card stock. Stick the tooth pick in the cupcake and serve! Easy, right?